So the pack was originally founded and made by Phantom... but the pack started of for about two in a half years in WQ. So tell us "Do YOU play WQ?" Just copy,paste, and answer these questions in the posting box, Thanks. Re: Do You Play WolfQuest? How long have you played~ About two years now. Have your heard or seen our pack on WQ~ Yeah, I've heard of it. But never seen it. Do you like WQ~ A bit, I guess I've grown out of it now. WQ username: Tis a secret! How long have you played: 2 years going on 3. Have your heard or seen our pack on WQ: no? Anything else: sorry was feeling lulzy. have I heard or seen our pack on wq- uh yes joined several times but haven't seen it recently. How long have you played: I've had different accounts but I have been playing Wolfquest since 2010. Have your heard or seen our pack on WQ: Yes. 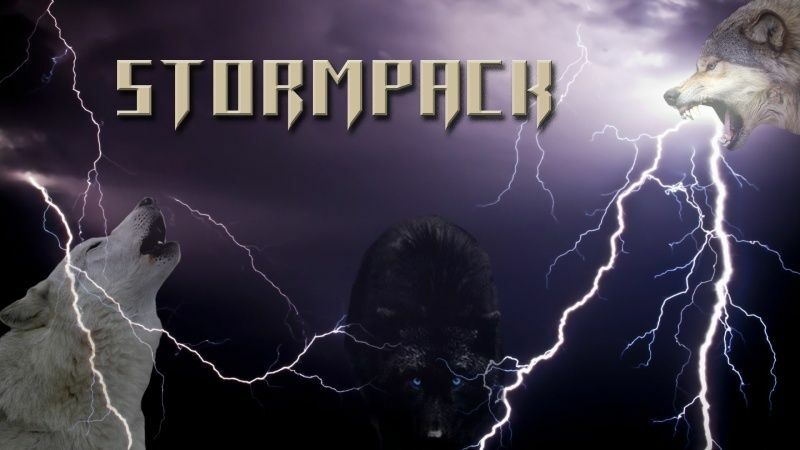 I have played on Stormpack RP's than any other RP. Do you like WQ: Out of 10? About 11. Do you like WQ: Oh yea!!!!!!!!!!!!!!!! !